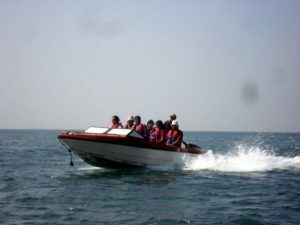 Speed boat is a adventure and craze among the tourists coming to visit Malvan and Tarkarli. Speed freaks who love to flirt with the water can’t resist getting into a speed boat. These speed boats can carry six to eight people at a time and can be used as a transportation medium. Speed is a very common passion amongst the adventure lovers. 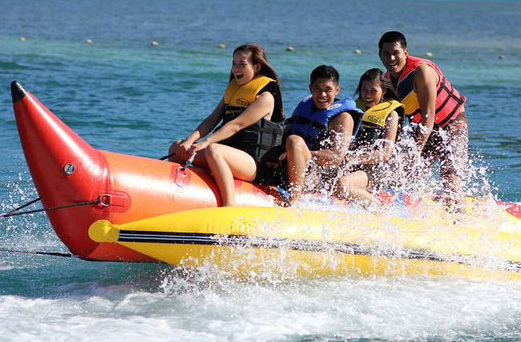 Banana boat rides is one of the most fun-filled water sport activities in Devbag. 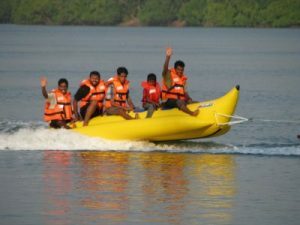 The banana boat comprises of an inflatable boat, which is shaped like a banana, which is attached to a motor boat. It can seat approximately 4-6 people.Once everyone is seated in the boat, the boat takes off in water. As soon as the motor boat sprints into the water, the boat will toss away the passengers into the water. The funniest thing is that you will find yourself thrown into the water just when you leave the beach and enter the water. After being flung into the water, the passengers will have to pull themselves back into the banana boat. Tubing – is a riding of a tiny rounded boats on the snow or water. This activity is very exciting for adults and for children. According to Time Magazine, tubing was purportedly invented in Thailand sometime in the middle of the 20th century and now catching popularity. Bumper is fixed behind a speed boat (as a water ski) and as speed rises if jumps up and rider have a feeling of a flight. Controlling of the tube possible by balancing of riders body due to changing of gravity centre.Tubing is not without its dangers, so be careful while riding! 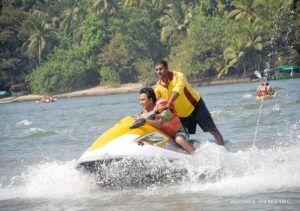 Let the rush and the thrill of the hypnotic waves of the sea work its charm upon you, while you play around and have fun performing activities like speed boat, jet ski, bump ride, boating.